This was an amazing space for 6 days of relaxation. The view was of ocean and flora and Vieques magnificant beaches but short drive away. Just outside of Esperanza this house seemed a world apart. The high-ceiled spaces, 9 foot doors, contemporary furnishings, colors and amenities were so welcoming. Plenty of space for 4 adults, magnificant deck and pool, lovely landscape. Local manager totally helpful. We’ll be back next year for longer. Recommended for: Families with Young Children, Girls Getaway, Romantic Getaway, Families with Teenagers. Had a truly amazing time while staying at Casa Angular! The house was exactly as described and the views are even more breathtaking from the deck of the home than the pictures on the website. The house was well stocked with amenities and made our stay even more enjoyable. Mark the property owner was very responsive and accommodating. Colleen, the property manager was terrific. 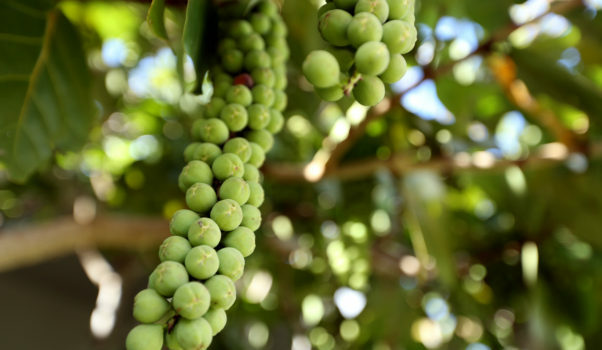 Ask her where to find the best Mangoes on the island- delicious!! Will be coming back for sure! Thank you! The home owner was perfectly professional, as was the gracious home manager who lives on the island and was able to help us out when we needed it. The home is beautiful, well-maintained, private, and felt safe. Much recommended! I hope to go back soon. This house is everything that is advertised! The views are beautiful, the house is very comfortable, well decorated and the pictures do not tell the whole story! I have rented homes on VRBO for years and this home did not disappoint! There is everything you need from a well equipped kitchen, plenty of towels, chairs to take to the beach and did I mention the views? I was a little concerned about not having air conditioning but there was no need! The house openings up to the ocean breeze and the house stayed cooled even during the heat of the day! 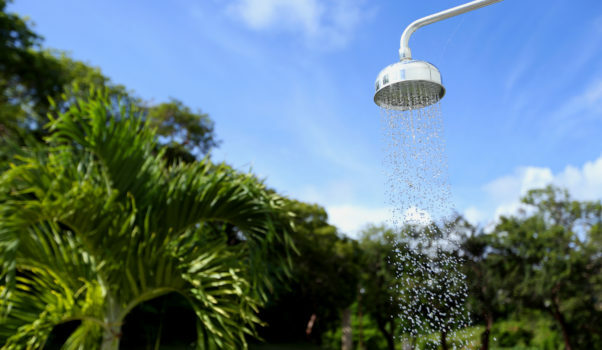 The outside showers were really cool and the pool was at the perfect temperature. Colleen, the manager was very informative and was there if we needed anything. A car is a must on this island and the owner Mark can give you the name of the company to rent from. When you arrive a the house you will definitely feel an unforgettable instant of being far from civilization even you will be just minutes away from great restaurants and beaches by car. If you are deciding on a house on this island, rent this house! What a wonderful place this is. It's everything we expected and more. From the architecture to the well appointed kitchen to the tasteful decor, Casa Angular is the perfect vacation getaway. It was remote enough to make us feel like we were the only ones on the island, yet close enough to civilization to enjoy the beach and local restaurants and bars. I would highly recommend it to anyone looking to get away from it all! Recommended for: Families with Young Children, Sightseeing, Adventure Seekers, Romantic Getaway. STUNNING HOME…DIDN’T WANT TO LEAVE!!!! WOW, WOW, WOW! This was our 6th visit to Vieques in less than 2 years and by far our favorite rental. What a fabulous, super contemporary yet very cozy home. We went with our best, oldest friends and had the greatest time at Casa Angular! 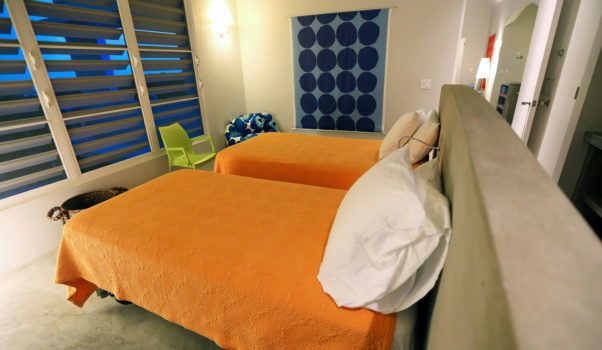 The 2 private bedroom suites are perfect for 2 couples or a family of 4. I knew it would be great but we were still surprised! The location is totally private, secluded, lovely views of the ocean, outdoor, very private showers and a peaceful vibe that didn’t get us to the beaches until almost 2pm every day…a first!! The coqui frogs lulled us to sleep and the bird calls in the am were lovely! Mark, the owner was great to work with as were his house managers Colleen and Karen. Colleen even brought over her own lobster pot for our use! We highly recommend Casa Angular and can’t wait til our next visit! As far as our fave restaurants: Bili in Esperanza by far for their seared tuna on black rice cakes and dorado and chutney wraps, El Conuco in Isabel, sunset drinks at Al’s Mar Azul and if open, the Sol food truck at the entrance to the beaches. Amazing food! We love La Chiva, Caracas, Navio and Sun Bay beaches….Buen Provecho great, healthy food to eat in or stock up on and great owner! And the fish market at the dock a must for the freshest fish, lobsters and conch. The best meals were at our own home, Casa Angular! WE LOVE VIEQUES and thank you Mark for making our stay so very special. We did NOT want to leave your lovely home! Casa Angular was a very spacious 2 bedroom home. Property is secluded and private. House was very clean and grounds were well maintained. The kitchen was stocked with all utensils and supplies. Property owners and manager were extremely helpful with necessary information to assist with the time on the island. 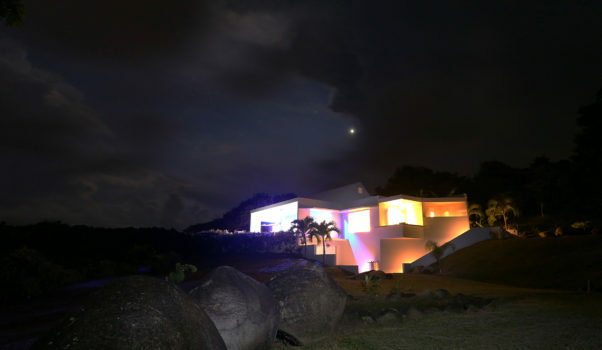 My family and I have been coming to Vieques for more than 15 years, but until recently, we never had the pleasure of staying at Casa Angular. The property is spectacular. 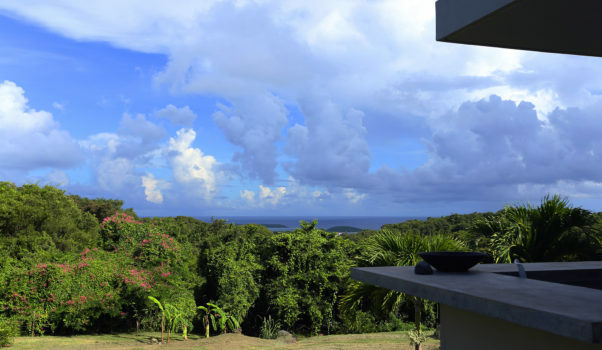 The grounds offer total privacy, wonderful views, and easy access to the island’s beaches and towns. This is our favorite area in Vieques by far. The house is perfect. Well laid out with two bedrooms on either side of a central living/dining/kitchen area, it has every amenity one could want. The terrace/pool is a private oasis after a day at the beach, or to enjoy the stars at night. The owner, Mark, was extremely responsive to any inquiries we had, and once again we had the pleasure of having Colleen as our property manager. She is by far the best on the island. My family and I highly recommend Casa Angular. We definitely plan on returning to the island, and this home is now our first choice. One week ago, we returned from our 15th annual visit to Vieques; our winter escape/paradise. We have stayed for several years at Casa Angular and enjoy it more each visit. 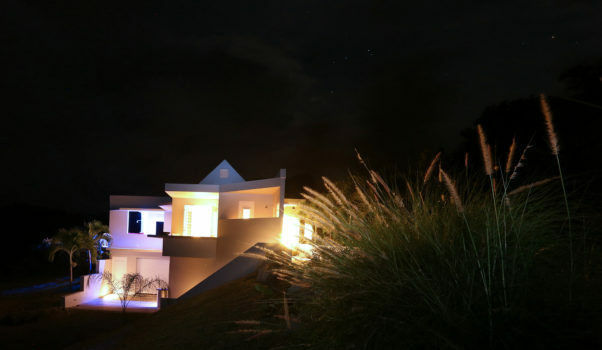 The villa is on a very private setting overlooking the Caribbean and is beautifully appointed and cared for. 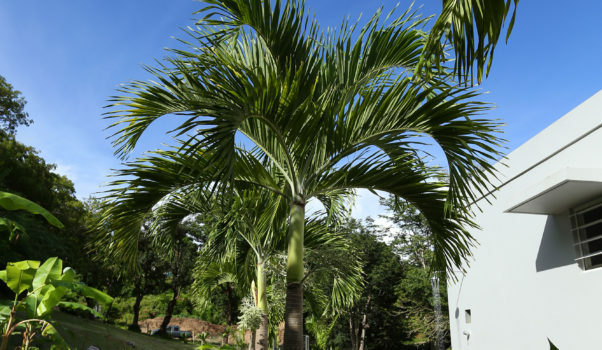 Extensive tropical landscaping recently enhanced contribute to making this an outstanding destination while visiting Vieques. Casa Angular ownership and Colleen McNamara the magnificant property manager assure that guests are comfortable, have all needs met and questions answered. The villa is located in a remote and peaceful location yet very near the island’s beautiful beaches and other attractions. We highly recommned Casa Angular, it is a wonderful experience. Recommended for: Sightseeing, Tourists without a Car, Adventure Seekers, Romantic Getaway. 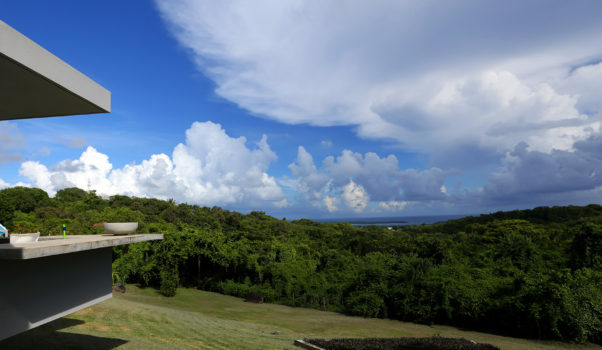 The island of Vieques is a place where the word "resort" does not belong...thank goodness. But Casa Angular is a personal oasis. 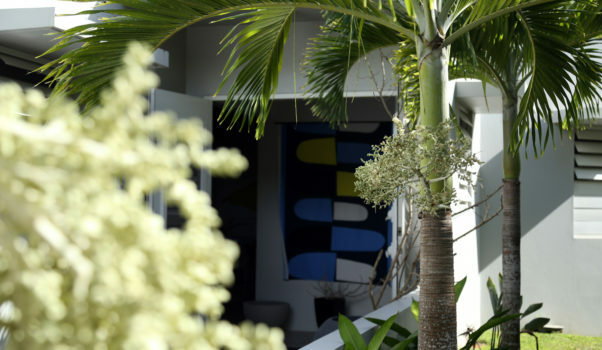 The ecosystem on Vieques is dynamic and Casa Angular lets you see it all: a slice of the Carribean from every window, beautiful plantings of palm and banana, a cieba tree and Vieques classic white cows meandering by on a nearby pasture as docile as cows could ever be. The house is clean and very well appointed. The kitchen is spacious and we cooked dinner 5 out of 6 nights, why go out? Located 5 minutes from the tiny town Esperanza and 10 minutes from Isabel Segunda where good provisioning can be done, the central location is a time saver yet so very private. It is in the hills but not on a steep Vieques climb. And the hills are best for privacy and lack of mosquitoes and no-see-ums prevalent everywhere in the inlands. No mosquito netted bed needed here. The photo here may seem severe in its angles, but in person it is a soft, cool, quiteing home. Recommended for: Sightseeing, Girls Getaway, Adventure Seekers, Age 55+, Romantic Getaway.